Available for a limited time at a amazing price! ADVAN A048 takes Yokohama�s advanced racing technology to a new level in D.O.T.-approved race tire performance. The ADVAN A048 combines design, construction and compounding to provide a new level of performance. This allows more precise control in high lateral transitions, a better footprint under braking and a predictable grip. 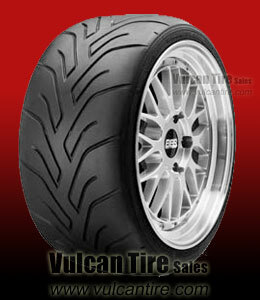 At high slip angles, this makes the ADVAN A048 among the most capable D.O.T.-approved race tires yet.